Microsoft’s cloud-based Office 365 servidce just hit a big milestone last quarter. According to the company’s CFO Amy Hood, for the first time, Office 365 revenue surpassed traditional license revenue. Hood didn’t detail the exact sales numbers of its Office 365 and classic Office software suite, only that Office Commercial revenue, which includes both Office 365 and Office, rose 5% year-over-year to $277 million — with Office 365 responsible for the bulk of that growth. The rest of Microsoft’s Productivity and Business Processes, which also covers Exchange, LinkedIn, SharePoint, Skype, and Dynamics are also a fast-growing segment for the company. This quarter, Microsoft reported revenue of $8.4 billion, up 21% for this area. Revenue for its Intelligent Cloud unit was $7.4 billion, a year-over-year increase of 11%,with operating income up 15% to $2.5 billion. Server product and cloud revenue both grew 15%, with Azure revenue up 97%, and compute usage growing by more than double. Enterprise Services revenue fell 3% due to a decline in custom support agreements for legacy products. Lastly, the More Personal Computing, which covers Windows, hardware, and Xbox, as well as search and advertising, dropped 2% to $8.9 billion revenue. The company attributes this decline to the fact that it sold significantly fewer Surface devices than in previous quarters due to product lifecycle transitions, and because of lower phone revenues. The Windows business was slightly ahead of a flat PC market — OEM Pro revenue was up 3% and OEM non-Pro revenue was flat. Meanwhile, search revenue was up 10%, and gaming revenue from its Xbox business was up 3% even as hardware revenue has declined. 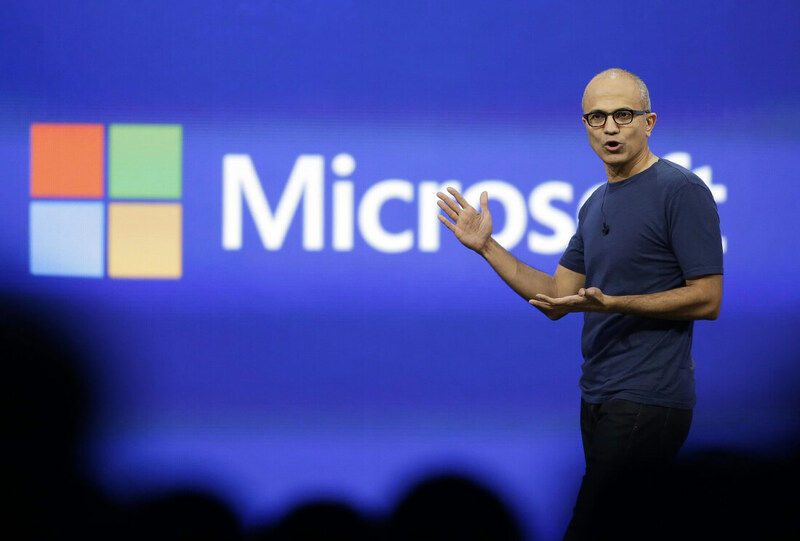 Overall it was a solid quarter for Microsoft with non-GAAP net income of $7.7 billion, or earnings of 98 cents per share, on revenue of $24.7 billion — ahead of analysts’ $24.3 billion predictions.